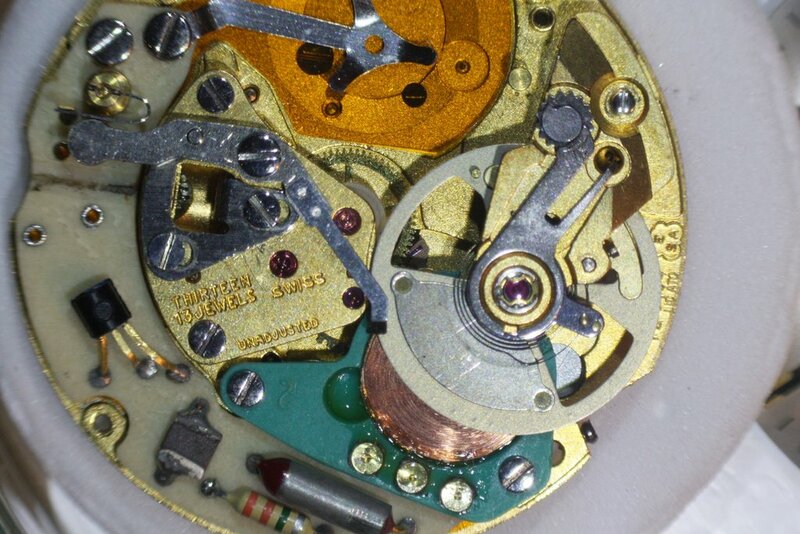 ESA 9154 Dynotron watch movement with electronically controlled balance wheel (colourful isn´t it?). 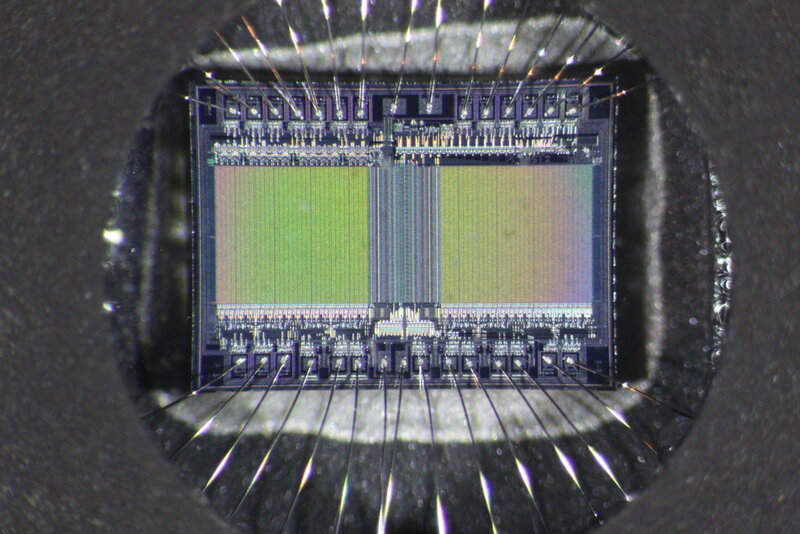 This is a 512 KBit EPROM microchip (M27C512) - a 30-legged freak with its fine wire bonds (everything visible through the little window for erasing by UV light). 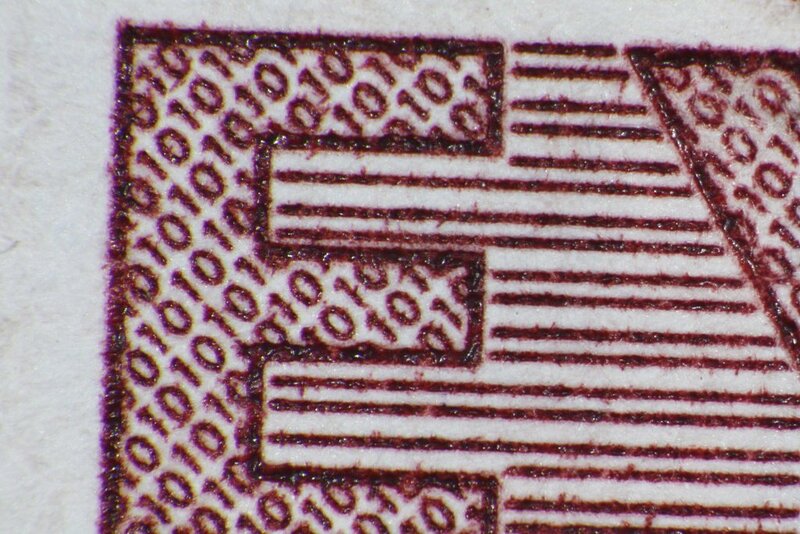 Overall, the optical quality of this microscope - it can actually be seen as a vintage device for it has been designed in the 1970s - is absolutely outstanding and I look forward to working with it.